Paying the Price is a compelling, historical drama that brings to life the true story of Edwin Maurice Braswell and his fight for freedom during World War II. Volunteering for military service at age 19, Braswell was soon assigned to the tail gunner position on a B-17 bomber named “Flaming Arrow.” His crew flew out of Italy on bombing raids over the Ploesti oil fields in Romania and other targets. On Mission 41, he was forced to bail from his burning plane and soon was captured and placed in a prison camp in Bucharest. There he received the compassion of Princess Catherine Caradja, who later became a friend and guest in his home in North Carolina many times. In the musical, we see the character of Old Maurice struggling to cope with his horrible memories of the war. But the Spirit of Princess Catherine encourages him to share them so that his children and their children will understand the price Braswell paid. As he gradually does, the character of Young Maurice springs to action and reenacts air battles, life as a prisoner of war, and the path to freedom. The story is told through seven original songs and fast-paced dialogue, with over 100 images from the war being projected behind the actors on stage. A secret for over 50 years, the increbile account of the milatary service of Edwin Maurice Braswell is now being told through the musical Paying the Price written by his son, Mark. The show teaches young and old about the true meaning of patriotism and serves as a tribute to the service of all veterans. 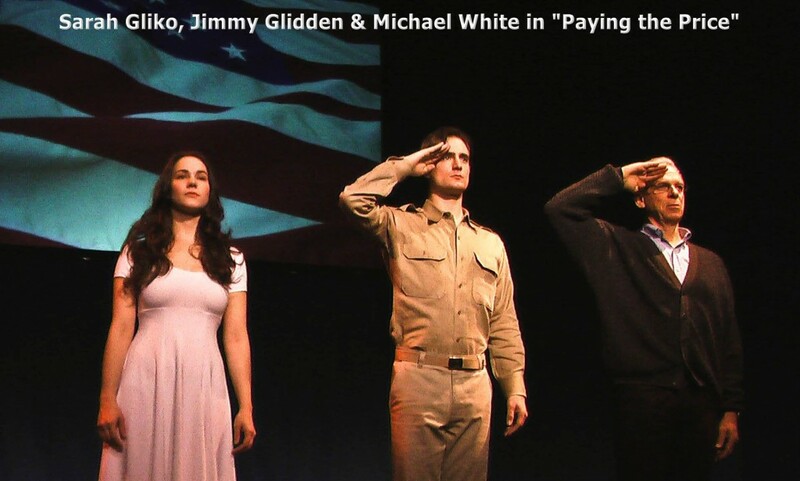 Following readings and workshop performances at the Kennedy Center’s Millennium Stage and the National Theatre’s Helen Hayes Gallery, Paying the Price has enjoyed several successful, limited productions. A patriotic medley of songs from the musical has also been performed. In addition, the musical has been used as part of a youth education program in Philadelphia and has been performed on Veterans Day to honor Americans who have served their country. Click Washington City Paper story.